As warmer weather approaches, many Floridians start thinking about those home fix-up projects that have been put on hold for the past several months. While some homeowners take personal satisfaction in giving our homes a facelift with their own sweat, others look to hire someone else to take care of the many tasks that need doing in the spring. Who among us has never hired someone to do a fix-it job in our homes? Maybe you’ve paid the friend of a friend to paint your living room, or a neighbor kid to mow your lawn. Perhaps you had a plumbing problem and hired the lowest bidding contractor to take care of the problem. That’s all fair and good but beware: if you do not have adequate homeowner’s insurance you may be in for some financial woes. If you find yourself facing legal and financial problems due to an accident involving a worker injury in your home, you may wish to employ the services of an experienced personal injury attorney. 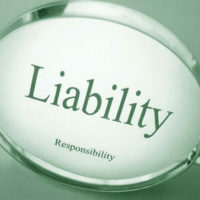 In the event of an accident, who is liable? If we are talking about a teenage babysitter or lawn worker, it is pretty likely they don’t carry their own liability coverage, which means your homeowner’s policy will bear the costs associated with any accidents. The same may be true if you hire the friend-of-a-friend or your buddy from work to perform a side job off the clock. If you happen to hire an uninsured or unlicensed contractor, you automatically become their employer. That means you could potentially face a lawsuit in the event of an accident. As the homeowner, you could be responsible for medical bills, workers’ compensation costs, and even damages relating to negligence. As a smart consumer, be sure to inspect any insurance certificates for expiration dates, and make personal copies for your records. This applies to subcontractors who may be assigned to the job, as well. And it wouldn’t hurt to double check that the contractor’s license is current and valid. Legal waiver forms may be signed by all parties in order to protect you from liability. When a worker signs such a form, you are released from responsibility. These forms are available for both minors and adults, and are worth considering when employing anyone on your property. If you find yourself facing a personal injury lawsuit following a worker injury, experienced legal counsel is essential. The aggressive and fair team at the Law Offices of Robert W. Elton will ensure you get the protection you deserve. Contact our Daytona & Ormond Beach offices today.